The market broke to the downside led by small cap shares. The Russell took out the two day low after an Inside Range day and had range expansion. It can still test lower on Thursday. 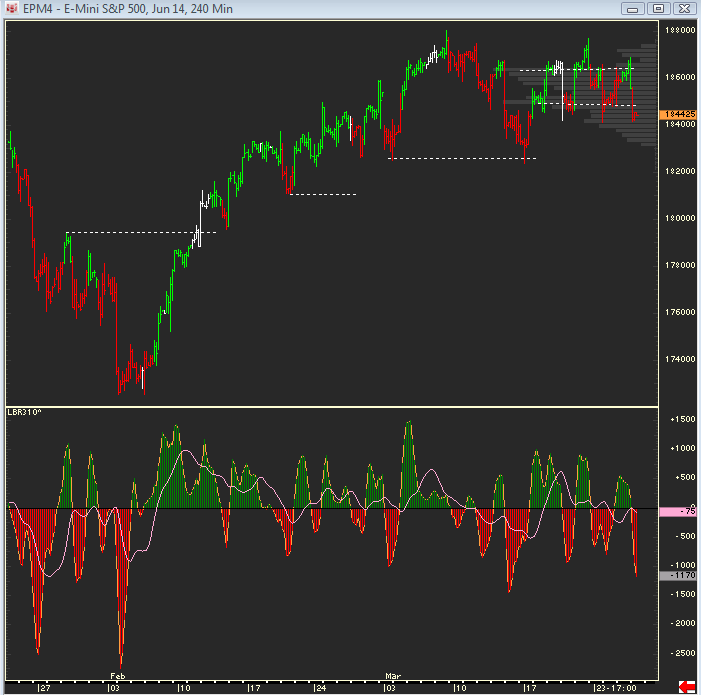 The chart of the SPs below show the volume profile for the previous ten days. The market will either snap back towards the two high volume node shown (at a slightly higher levels). It is testing an area of prior swing lows. However, there are no Buy Divergences on the intraday charts, and if it continues lower, there are a series of levels shown it can trade to the downside. The weekly charts can support this scenario. 1856 was Wednesday’s last hour high. The first reaction up to the 15 minute EMA will be a short sale too. Roll to June Gold, June Hogs, May Nat Gas…..
A trade in the DAX below 9398 can signal a bull trap on this last upside thrust. The 2-period ROC has a Sell Short Day setup there. Corn has a breakout pattern. Wheat closed on its low but still has a three bar triangle pattern. There is a crop report Monday morning. Gold traded high to low day – pressures on front month April may have exacerbated downside. 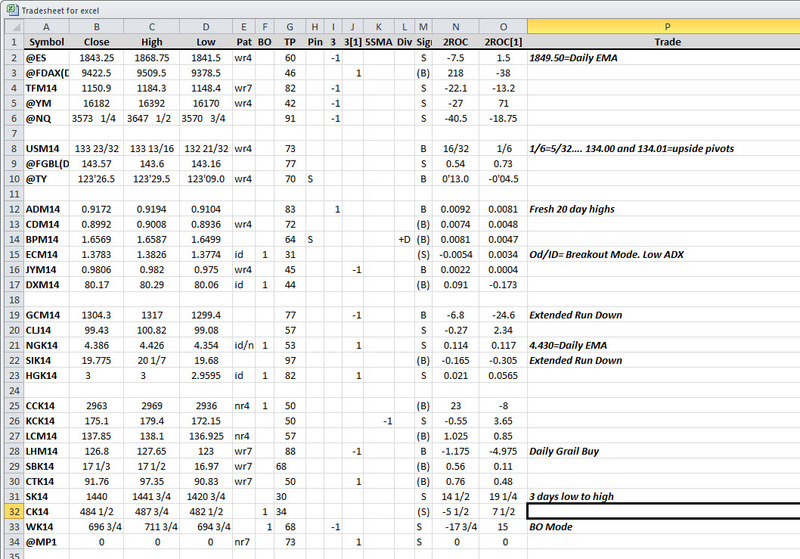 Can look for Buy day one more time, but it now has 7 closes below the daily 5 SMA sso upside may be limited.